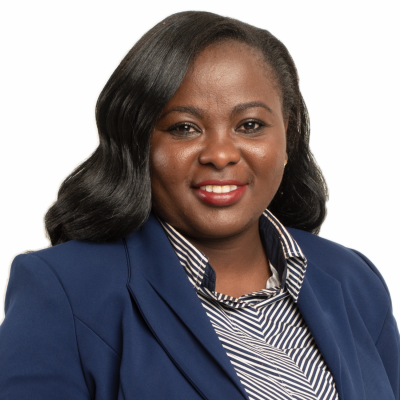 Milly is a Senior Associate in the Corporate and Commercial practice group and specialises in corporate & commercial law, competition law, employment & labour law and intellectual property law. Milly has advised local and international clients on corporate restructurings, mergers, acquisitions, commercial contracts, drafting employment contracts, reviewing of employment policies & procedures, trademarks and copyrights. Milly was part of a team that advised Equity Group Holdings Limited (formerly Equity Bank Limited) on a 79% stake of the of ProCredit Bank, a financial institution in the Democratic Republic of Congo, from Belgische Investeringsmaatschappij voor Ontwikkelingslanden, Stichting DOEN and ProCredit Holding AG. The acquisition required undertaking a comprehensive due diligence, drafting and reviewing of the share purchase agreement and undertaking the competition filings at the Competition Authority of Kenya. Milly has a Bachelor of Laws (LLB) from Moi University and a Diploma in Law from Kenya School of Law. Part of a team that advised Essar Overseas Energy Limited in connection with their sale of 50% stake in Kenya Petroleum Refineries Limited to the Government of Kenya, including assisting in drafting the agreements and the completion process. Part of a team that advised Equity Group Holdings Limited (EGHL) (formerly Equity Bank Limited) on its acquisition of 79% of the share capital of ProCredit Bank, a financial institution in the Democratic Republic of Congo, from Belgische Investeringsmaatschappij voor Ontwikkelingslanden, Stichting DOEN and ProCredit Holding AG, including structuring the all stock consideration for the sale through issue and allotment of EGHL’s shares to each of the three sellers, undertaking due diligence on ProCredit Bank and addressing the multiple financial and competition regulatory challenges to the transaction. Part of a team that assisted in undertaking due diligence and thus advising Godrej Consumer Products Limited on its proposed acquisition of a major stake in Canon Chemicals Limited. Part of a team that assisted in advising Atlas Development and Support Services Limited (formally Africa Oilfield Logistics Limited), a company incorporated in the Island of Guernsey, Channel Islands and listed on the London Stock Exchange, on its cross-listing onto the Growth Enterprise Market Segment (GEMS) of the Nairobi Securities Exchange – the first ever successful cross-listing onto GEMS. Assisted in advising clients in a variety of sectors on employment and labour related issues. The scope of work included drafting and developing a standard template for expatriates, senior local employees and junior local employees, drafting separation/settlement agreements and advising on dismissals and redundancies.